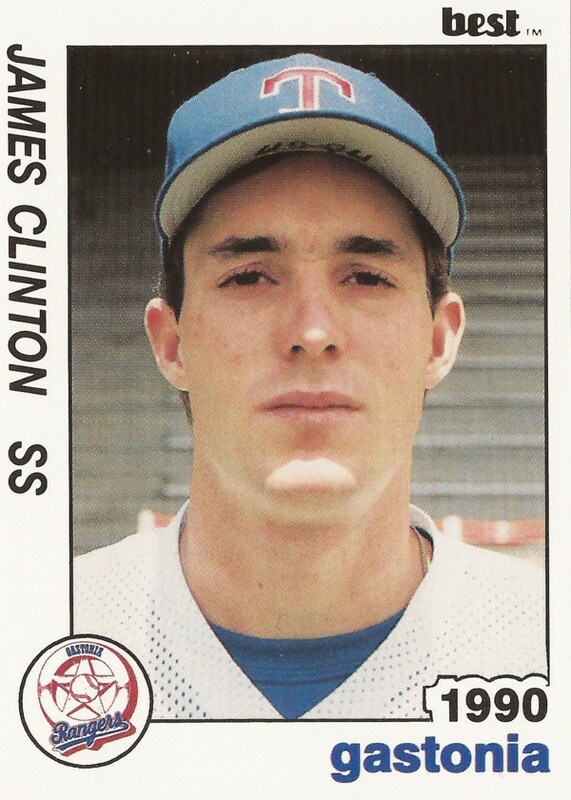 Jim Clinton was drafted out of college as a middle infielder, The Billings Gazette wrote. What he ended up playing was pretty much anywhere on the field. That ability he learned to change positions as needed, he told The Gazette years later, helped him to seven seasons as a pro. "My defense is what kept me in the game," Clinton told The Gazette in 2001. "My offense and my (left) knee is what kept me out of it."
Those also kept him out of the majors. In those seven professional seasons, Clinton briefly made AAA twice. He never made the majors. 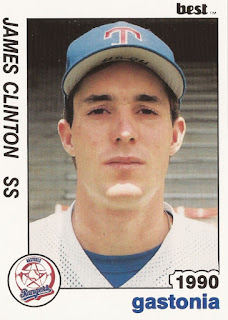 Clinton's career began in 1989, taken by the Rangers in the 31st round of the draft out of the University of Illinois at Chicago. With the Rangers, Clinton started at rookie Butte. He hit .219 in 60 games. He also played all four infield positions, catcher and outfield. He moved to single-A Gastonia, hitting .202. He also played each position but catcher and pitcher. For 1991, Clinton arrived at high-A Port Charlotte. He hit .193. He also hit his first professional home run. Clinton returned to Port Charlotte for 1992. He scored twice in an August game. Overall, he hit .176. In spring 1993, the Rangers got a visit from recently-former President George Bush. Clinton's name got him a photo op with the former president. "Everybody asks me if I voted for Clinton," Clinton told reporters. "I didn't. I voted for Bush." On the field, Clinton continued playing multiple positions and hitting poorly. He ended up spending the majority of his time in the outfield. He also .175. In August, he praised his manager Tommy Thompson. "Tommy has his program, and he's won everywhere he's gone, so you have to believe in it," Clinton told The Sarasota Herald-Tribune. The next year, Clinton could count that he had been everywhere in the Texas system, except Texas. He first made AA Tulsa for six games in 1993, he then got six games at AAA Oklahoma City in 1994, playing the rest of his time at Tulsa. Clinton returned for just one more season, 36 games in 1995 split between Tulsa and Oklahoma City, ending his career.